I could give you a list of things I didn’t like about 230 Fifth, but spending time with a true friend overshadowed everything negative about my experience. I will; however, say there was an incident that evening where one of the guests’ belongings was stolen. If you decide to go to 230 Fifth, hold on tight to your belongings. When you think they are cleaning the area of empty drink glasses and plates, they may also clean the area of your property – while you’re still sitting there. I’ve read a lot of negative things about 230 Fifth including: the owners are racists, and they are selective as to whom may enter the venue. I didn’t experience either. 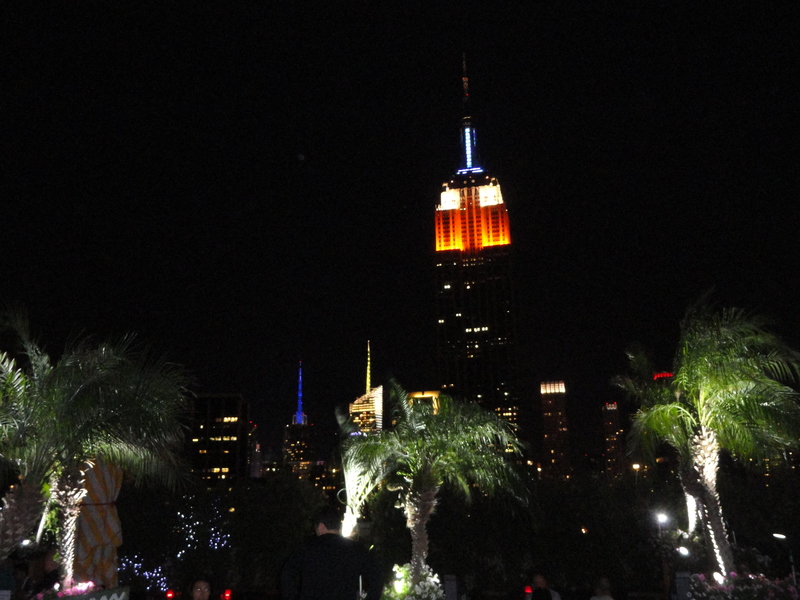 It’s a beautiful place with amazing views of the Empire State Building and the Met Life Building. You feel like you are at a Caribbean resort, but surrounded by sky rises. It’s a really nice place. I saw two couples embracing each other and kissing each other passionately under the dark, New York sky. The rooftop area is a comfortable space to just sit and talk with friends. We spent time talking about make-up and compatibility based on astrology. It was truly refreshing to escape from the club scene we once ruled. Now 20-somethings own the dance floor at nightclubs. We’re way beyond our days of the Tunnel, Club Speed, Club New York, China Club, and Jade Terrace. I must admit, I was hoping to dance – just a little, but the music on a Monday night will keep you in your seat.